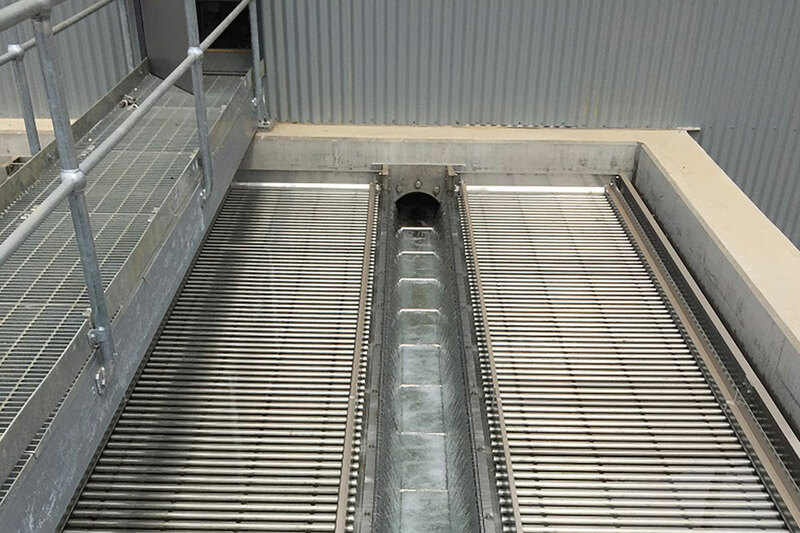 Hunter H2O was originally engaged by Council to develop the treatment process to remove the algal risk through the implementation of a dissolved air flotation system. Hunter H2O was successful in identifying and convincing Council in the value of expanding the upgrade scope to address the other potential water quality risks, such as reducing the levels of disinfection by-products. We developed an overall new process train featuring powdered activated carbon adsorption, clarification, dissolved air flotation and filtration using biological filtration. A significant reduction in disinfection by-products resulting from the reduction in chlorine dosing. In an Australian first, use of AWI’s Phoenix underdrain system, instead of a plenum floor for the filters. This saved approximately one metre of depth in the package filter structure, meaning that standard package tanks could be used. This reduced design costs, and the costs of logistical challenges in transporting larger structures. The additional depth enabled more filtration media to be installed improving filtered water quality and enabling more contacting for biological removal of organic compounds. Gordonbrook WTP Upgrade secured awards for Innovation and Excellence at the 2016 IPWEA Qld Excellence Awards as well as the 2017 QLD AWA Excellence Award for Innovation in 2017.